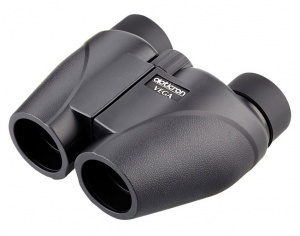 The Opticron Vega 10x25 compact binocular features a new sculpted rubber cover, while the reverse porro prism series are an excellent choice for people searching for an affordable compact binocular. Equally at home on the kitchen window or in the glove compartment of the car each Opticron Vega delivers a great combination of bright, clear images with good close focus. Other features include fully multi-coated lenses and twist-type large diameter rubber eyecups. Available in 3 magnification variants including a high powered 12x for those seeking the highest practical magnification from a 25mm objective, all models are supplied complete in soft case with lanyard and a 5 year guarantee.